Home »Blog»2019 Capital Budget – We got funding! 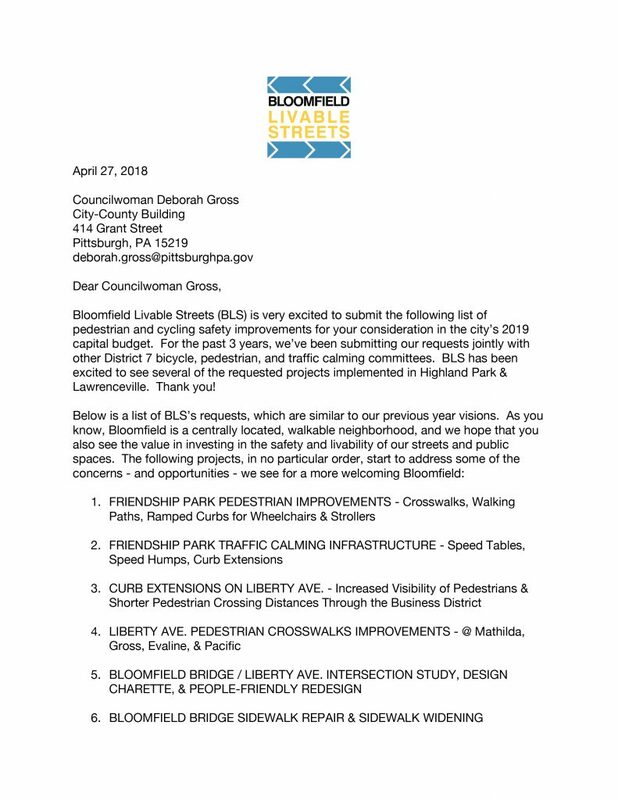 Thanks to councilmember Deborah Gross for advocating for $400,000 intersection upgrades at the Bloomfield Bridge AND $195,000 for signal upgrades at Liberty & Millvale in the city’s 2019 Capital Budget, which we requested in both our 2018 & 2019 requests. 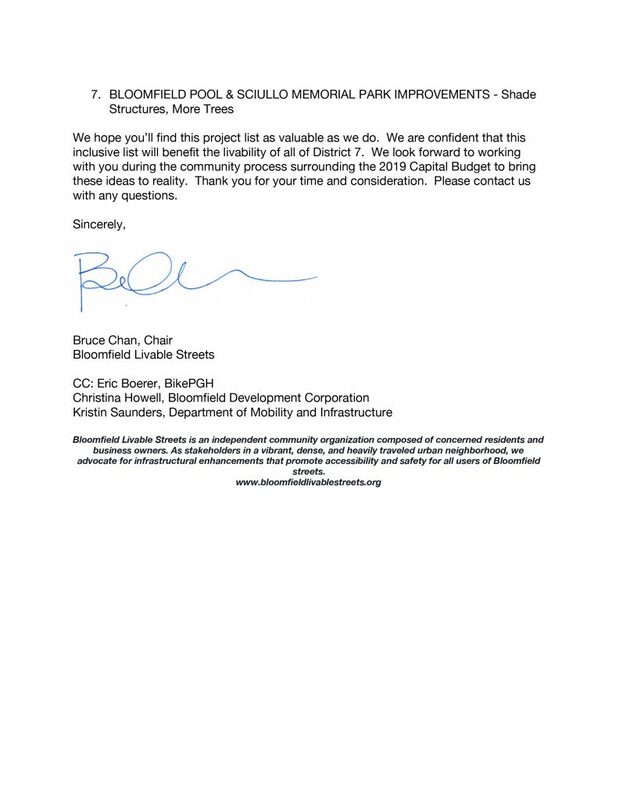 We look forward to working with the community, City, and stakeholders to improve these important network intersections which connect Bloomfield to the rest of this great city. Let’s make more people-focused & people-friendly spaces that works for all. Below is a copy of our 2019 Capital Budget requests letter, sent to councilmember Gross this past April 2018.